Pintaras Jaya Bhd is a Malaysia-based company engaged in the manufacturing of metal containers and piling and sub-structure construction activities. It operates through two segments namely Piling, civil engineering and construction works and Manufacturing. The Piling, civil engineering, and construction work segment include piling and earth retaining systems, sub-structures and basements, ground improvement, earth and civil engineering and building work. Its Manufacturing segment consists of metal containers. Additionally, the company undertakes several projects for the development of buildings, roads, cultural facilities, cultural facilities and much more. 3101575000 I bought 3.97 (20.1.2015) ;still hold !!!! jibbie econpile and ikhmas jaya both went up. wonder when is ptaras turn? kai8994 Finally breakout from 3.80!? XXXvalue wow.. what is the reason? XXXvalue hello hello why this forum so quiet??? Already breakout 4 and 8s div also still not happy? sysz820 What happend with PTARAS? Rica7894 Pintaras: Benefit From Big Construction Wave & Appealing dividend yields. As at 30 June 2017, it had liquid assets (86% cash and 14% portfolio investment ) worth a total of MYR 208.5m or MYR1.27/share. Its net cash of RM179m or RM1.09/share ( c.28% of its current market cap ) should support net DPS of 20 sen (net yield of 5.2%). DPS of 20 sen was declared in FY17. Given the current low yielding environment, Pintaras stands out as an excellent dividend play with annual dividend yield of 5.2%. Order book stands at RM50m as at 31 Aug 2017. Although the outstanding order book is low at RM50m, Pintaras has a good chance to win contracts with its readily available capacity, given the potential shortage of piling industry capacity. The management will be able to secure more new contracts from its current high tender book of RM1.2bn, which includes works for LRT Line 3 and Bandar Malaysia projects. Property developers are focusing on high-density mixed development projects, which require more piling works. Hence, Pintaras will benefit from higher demand for bore piling services in 2H. michael_jackson waiting for my next dividend payment on 12/01/2018....wow, 20 sen total amount of dividend this year same like last year....very very happy.....as long they keep paying me a good dividend every year, i shall add some more in my stock.......malaysia boleh!!! 3101575000 Pintaras bags RM20.4 mil pilework project. sysz820 Any one know what happend with pintaras? KiaSu When is the QR result release? sysz820 Anyone know when ptaras will give dividen? sysz820 Hi all,any comment for the latest qr report? Sami_Value They screwed up on 118, need Bauer to be called in to help their package. That is the RUMOR I heard. One screwed up, people will forever remember. 4444 QOQ profit drop 53%. 4444 DPS>EPS will make QR worse next QR. KenaTipu_ If 61 years BN govn can change finally why a good ctr cannot turn bad? neville_83 Any updates from today’s AGM? 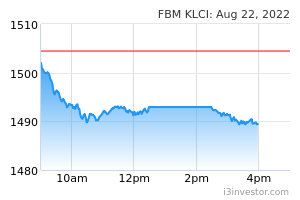 commonsense Excluding the one-off gains on disposals and the fair value loss on financial assets, 1Q19 result would have actually been a lot lower than the reported RM2.8mil profit (core profit would have been around RM500k). Investors are worried that the margins compression seen in 1Q19 will stay for the foreseeable future given the challenging market for piling services at the moment. Other piling companies like Econpile and Ikhmas Jaya also recorded lower profit margins in their recent quarterly result. With a depleting orderbook of only RM300mil (potentially can last until end of FY20) the company will be desperate in getting new contracts to replenish its orderbooks. The negative outlook of the construction industry (due to government decision to review, delay or cancel big projects) and property industries (developers are scaling back on new launches) might make it challenging for Pintaras Jaya to asked for higher margins when submitting their tenders given that there will be a lot more contractors eyeing for a smaller pie of any future projects. Near future earnings will mainly derive from the Singapore market (via their newly acquired Pintary International which has 70% of the orderbook value). However, it is still not sure what will the margins be for the Singaporean market. Full quarter contribution can only be seen in the 2Q19. 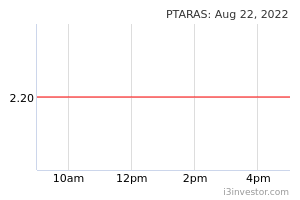 If the company managed to achieve a Pat of RM10mil for FY19 (assuming the Singapore business managed to deliver a higher profit margin), at the current share price, Pintaras Jaya would still be valued at 38x PE which is very high for a company with limited orderbooks, declining profit margins and operating in the construction industry which is currently trading at an average of below 10x PE. If you are looking to diversify your portfolio outside of Pintaras Jaya (due to its relatively high valuation and weak earnings outlook), I would recommend you to look at MBMR. qps999 PTARAS can be down anytime..no volume la. So, Piling Companies like Pintaras will be the first to benefit, so let's see the next few quarterly results before we take action to dump the shares now at rock-bottom prices. Heavenly PUNTER This one way too expensive look at Econpile! Much cheaper valuation! Much more potential too! cefiro22 TQ..for the update...positive news making it harder to collect this stock now with more positive upside.